Sometimes I find 'review posts' daunting. I like getting products to try as much as the next blogger but it can be challenging to write about things you're underwhelmed about. Well this is NOT one of those reviews. I love trying new hair products but I've used nearly every brand from dollar store to high-end salon products so I can be a product-snob. That, and my hair is what you'd call "lifeless" thin and usually looks kinda sad unless I put in more effort than I typically have time for. 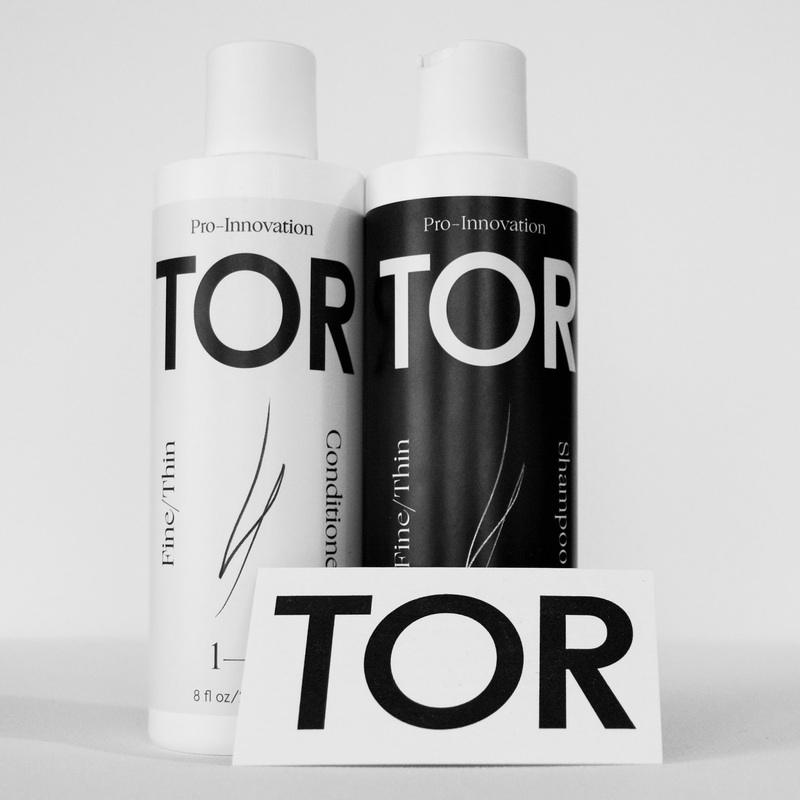 TOR Salon Products to the rescue!! 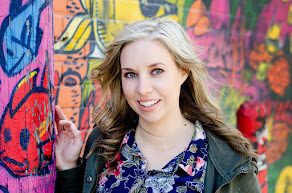 This is a smaller company (but not for long I imagine) with a really cool story and I am super excited to share my review because they've been super sweet to work with and have a great product. 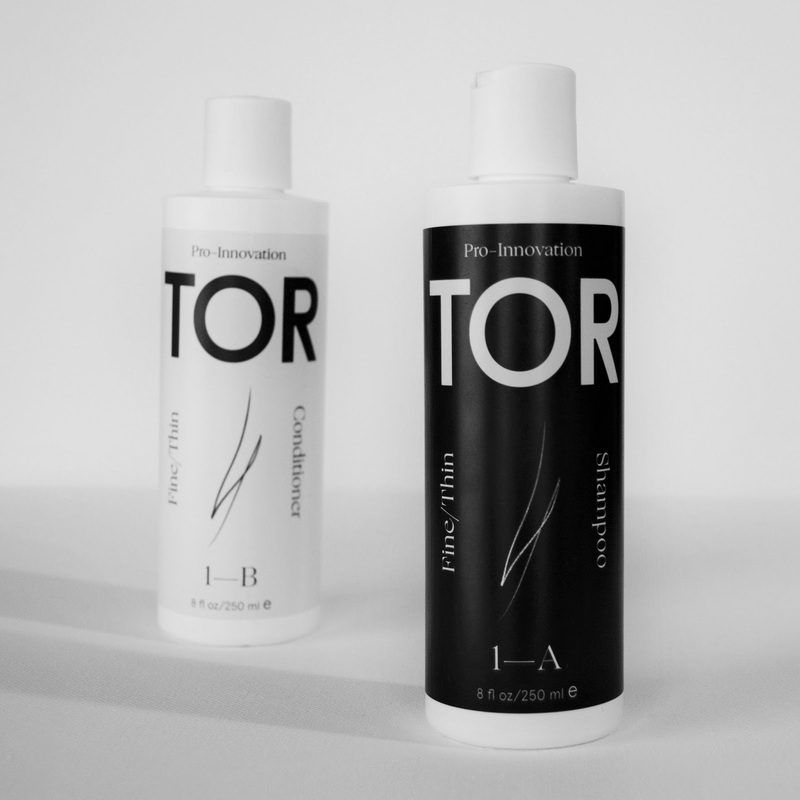 I received TOR shampoo and conditioner for fine/thin hair (cause that's me to a T). I love how their products are tailored to your type of hair and not what you want them to do for you (i.e. add volume, make straight etc). The aesthetics of the products are simple and pleasing but the real surprise comes when you open the bottle. Tell me I'm not the only one who MUST smell new products before using them? Normal, right? My gosh they smell so freaking good. Like so good that you kind of want to taste it but you know you shouldn't so instead you're subtly trying to sniff your hair all day after using it. Naturally, the shampoo was first up and for some reason I kept confusing which was which so had to make a point to read the bottle before squirting. A little goes a long way with this stuff. Nice lather and again, smells sooooo nice. Conditioner's turn. At first, I was disappointed when I put it on my hair, it didn't make my hair feel as soft as other conditioners do and I was worried I'd never be able to get a brush through it. I realize now that the reason my hair feels so soft after most conditioners is because they leave a layer of crap on my hair. Good to know. Brushing was a little more challenging but I didn't mind it taking a bit longer because I got to enjoy the smell (ya, I'm obsessed, but I swear it's that good). I let my hair air-dry because I usually shower at night after working out (but don't worry, I'm on a two-week exercise hiatus which is perfectly timed with the reintroduction of diary - read: pizza and ice cream - to my diet #getmetothegymstat) and then I style it in the morning. I will tell you, by the time I went to bed, Mr B was sick of hearing about how soft my hair was and how good it smelled. I made him touch it repeatedly (he loves me, but cares very little about how soft my hair is) and even he agreed it was soft and smelled good (that could have been just to shut me up but whatever). Guys, trust me when I say this has been a game-changer for my hair! I kid you not when I say, despite regular styling with hot irons and curl wands, my hair is softer, smoother, nicer smelling (sorry, had to get that in there one more time) and really just appears significantly healthier (despite having gone a number of shades lighter recently). this is happy me and my happy hair after using TOR Salon Products for a few weeks. See how smooth my hair is? NO other product is in it!! WHAT?! Like I said, I have used A LOT of products, some really great high-end ones too, but for my hair, this stuff might seriously take top place. I cannot think of another product I have used with such great results and so quickly. My hair has never felt or looked healthier. I can only speak to the thin/fine products but they also offer products for medium/thick and curly hair and I would hazard a guess that those products are great too (and my friend Abbie may or may not be telling you more about their curl hair products later in May - stay tuned). Want to know more? I don't blame you. You can shop online for TOR salon products and look up the salon nearest you that sells this amazing stuff. You can visit their Facebook Page or Twitter to keep up with the latest and greatest news/offers!